Jalisco shopping centers online – huge database of shopping areas in Jalisco (Mexico). Information about shopping centers, malls, factory outlet locations in Jalisco, Mexico. Select Jalisco shopping areas from the list. 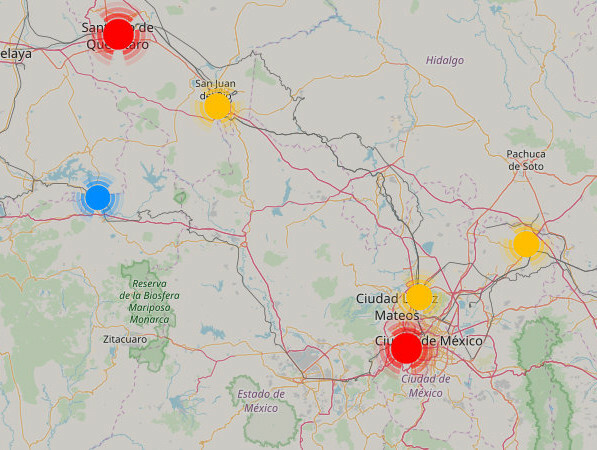 All Jalisco shopping centers, malls are also displayed on the map. Esquina Alvaro Obregón,Calz Independencia Sur,San Juan de Dios,44360 Guadalajara, Jal. Tabachines No. 60, Col. Arboledas CP.47600 Tepatitlán de Morelos, Jalisco.